All cases follow a unified structure that makes the relevant case knowledge easily accessible and transferrable to other contexts. Following the structure the chapters are short and sharp. The structure helps readers in finding the most interesting parts of the cases. Introduction – What is the story of the case? A brief narrative of the entire case informs readers by summarizing its key aspects. Situation faced – What was the initial problem that led to the action taken? The context of the case is specified concerning needs, constraints, incidents, and objectives. Action taken – What was done? What measures were undertaken, such as in regard to process redesign or process innovation? What methods and approaches were used? Results achieved – What effects resulted from the actions taken? Results could take the form of changes in performance measures and/or qualitative statements from employees, customers, and other business partners. To what degree were expectations met or not met? Lessons learned – What did the organization learn from the case? What can others learn? Lessons learned are grounded in the case and serve as example for others. The model helps to describe what actions an organization took to conduct BPM. It conceptualizes six BPM capability areas, namely: Strategic Alignment, Governance, Methods, Information Technology, People, and Culture. 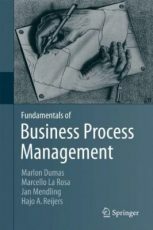 The key characteristic of the model is to enlarge the understanding of BPM from a mere technical concept towards a holistic management discipline. Click here for more material on the framework. The model helps to structure the different tasks that are associated with BPM. It describes six major steps: process identification, process discovery, process analysis, process redesign, process implementation and process monitoring and controlling. The key characteristic of the model is to illlustrate how a BPM project or a BPM initiative can be organized towards arriving at an improved process. Click here for more material on the model. The model helps to characterize a BPM initiative according to specific context factors, such as goal, process characteristics, organizational characteristics, and environmental characteristics. 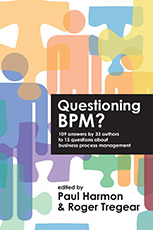 The key characteristic of the framework is to capture the situational nature of BPM. BPM needs to be aligned to the specific context of an organization and the BPM context framework helps to assess this context. Click here for more material on the framework. 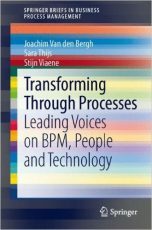 This book uses well-established BPM frameworks to characterize the cases it presents based on a shared language. 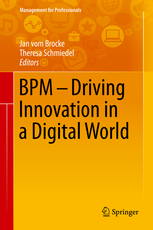 Jan vom Brocke is head of the BPM group in Liechtenstein. 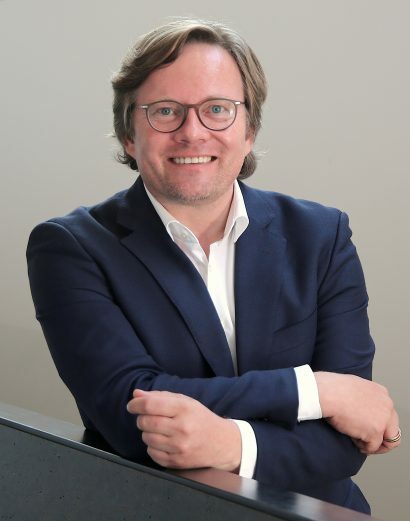 He is Professor of Information Systems, the Hilti Endowed Chair of Business Process Management, Director of the Institute of Information Systems, and Vice President Research and Innovation at the University of Liechtenstein. 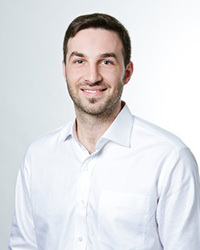 Jan has conducted over 300 studies in the area of IT and BPM, published in renowned outlets including MIT Sloan Management Review, MIS Quarterly (MISQ), the Journal of Management Information Systems (JMIS), the European Journal of Information Systems (EJIS), and Information Systems Journal (ISJ). 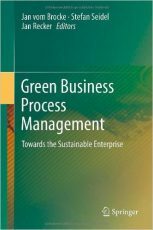 He has authored and edited over 30 books, including the International Handbook on Business Process Management, and the books BPM – Driving Innovation in a Digital World and Green BPM: Toward the Sustainable Enterprise. Jan is an invited speaker and trusted advisor on BPM serving many organizations around the world. See Jan`s website for more information. Jan Mendling is a Full Professor with the Institute for Information Business at Wirtschaftsuniversität Wien (WU Vienna), Austria. His research areas include Business Process Management, Conceptual Modelling and Enterprise Systems. He has published more than 300 research papers and articles, among others in ACM Transactions on Software Engineering and Methodology, IEEE Transactions on Software Engineering, Information Systems, Data & Knowledge Engineering, and Decision Support Systems. 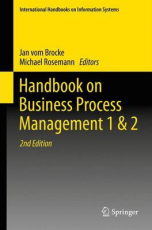 He has authored and edited over 15 books, including the textbooks Fundamentals of Business Process Management and Wirtschaftsinformatik (in German). Jan is an invited speaker and trusted advisor on BPM serving many organizations around the world. See Jan`s website for more information. We are grateful for the support of colleagues and friends supporting this project on the editorial board of BPM Cases. Please get in touch with us on any related matter. Dumas, M., La Rosa, M., Mendling, J., Reijers, H.